Getting online is easier than ever. There are now over 200 million active websites, and a lot of them were made by regular folk like you and me. Today anyone can make a website, regardless of technical skill level. We know it can seem like a daunting task, but there are tools available today that make the process easy. This article will walk you through making a website-step-by-step. We’ll be going through the website building process for both approaches here. You’ll be surprised by how simple it can be, especially when using a website builder. It’s possible to build a website in just an hour if you follow our seven easy steps. An enormous number of people use website builders to make a website. Wix has well over 3 million paying subscribers and Shopifyrecently passed 1.2 million. Platforms like Weebly and Squarespace keep their cards close to their chests, but it’s safe to say tens of millions of people are making websites using builders. Why is this? Website builders mean anybody can make a website, regardless of technical skill. In the early days of the internet, making a website required a working understanding of HTML (Hypertext Markup Language).Then CSS (Cascading Style Sheets) came along to make things even more confusing. Website builders take care of the technical jargon and let you focus on design and content. Some do this through templates, others through drag and drop interfaces. Some are even dabbling in artificial intelligence that builds the site for you. That does then mean choosing the right website builder is very important. Different builders serve different needs. Moving forward with the right one is essential to making a website you’ll be happy with. Which website builder should you choose? What is the best way to build a website? Which website builder should I use? What’s the easiest way to build a website? These are questions we get asked every day. There are so many questions and so many builders. We get it, it’s hard. That’s why we’ve conducted in-depth research. Personal experience with website builders is all well and good (and we have plenty of it), but we test builders with people just like you. So when you’re making your own website, you can rest assured we’ve got you covered. Our team conducts user testing and interviews, and painstakingly tracks hundreds of features across dozens of products to provide you a bird’s-eye view of the market. We want you to find builders that fit your needs. With that in mind, here’s the lowdown on the top builders for creating websites around today. Wondering what all this actually means? Not to worry, we have a bite-sized breakdown below. To learn about our research in more detail check out our methodology page. Ease of use – How simple the builder is to learn and use. This is determined through user testing, giving participants a series of tasks and asking them to score how easy (or hard) they found them. A great deal of our users want the easiest way to make a website possible. Value for Money – A balance between pricing and features. No-one wants to pay through the nose, but cheapest isn’t always best either. We size up pricing plans with features in mind to find the best of both worlds for when you build a website. Design Flexibility – How aesthetically pleasing, industry appropriate, user-friendly and modern each template selection is. We did this by consulting design experts and testing how well templates work on various devices. Features – What the builder is capable of doing. We not only look at what they can do, but how well they can do it. Blogging, ecommerce, search engine optimization, and more factor in to this. The more a website builder can do, the more you can do with it. Help & Support – We size up how strong each builder’s help and support is, taking into account everything from knowledge centers to live chat. This is especially important when starting your own website. Customer Score – We don’t want you to just take our word for it that certain builders are excellent and others not. User testing concludes with us asking participants whether they would recommend the product they’ve been using to others making a website. To be clear, the builders listed above aren’t the only ones worth considering. Not by a long shot. They perform best overall in our research, but, again, it comes down to your needs. WordPress.com, for example, is superb for blogging, while Shopify leads the way on ecommerce. Be clear on what your priorities are, have a browse through our comparison chart and reviews, and settle on two or three builders that seem like a good fit. Once you have that shortlist, you’re ready to start testing. We can point you in the right direction, but only you can know which builder feels right. Almost every website builder offers free trials, so take advantage. Signing up is simple and there are no strings attached, as you can see below. Once you’ve settled on a website builder, you need to sign up for a plan. Website builders tend to offer multiple plans. Different sites have different needs, and plans ensure you aren’t paying for things you don’t need. Which plan you choose depends on your needs. Are you making a website for a portfolio to showcase your artwork? Wix’s Basic plan, costing $5 a month, will probably do. Want to create a website for your business that will get thousands of visitors and have multiple staff accounts? Then the VIP Plan, costing $25 a month, may be a better fit. Rest assured there’s a plan out there for everybody. If in doubt, start small and scale up. Can you make a website for free? *Squarespace is the only builder that doesn’t have a free plan, so to get the features you will have to pay a modest monthly fee. It does, however, offer a 14 day free trial so you can try before you buy. A domain name is one of the main ways a site presents itself to the internet, so make it count. Here are a few rules of thumb when choosing a domain name. Avoid numbers. It’s generally best to avoid numbers in domain names. It (generally) looks unprofessional and adds another element for people to remember. Once you’re sure about a domain, simply register it as part of the signup process with your chosen website builder. Some of the leaner plans will require an annual renewal fee of around $12, though with premium plans it’s usually included. Once you’ve got your unique domain name, what happens if you want to move? This is a very common question we get. Don’t worry. When you purchase a domain name — from a website builder or through separate registrars — you own the domain name and can take it wherever you want. OK, so you’ve followed our steps to the letter: you’ve chosen a website builder, signed up for a plan, and registered a domain. You’re ready to start creating a website. Rather than leaving you to do this all by yourself, website builders support you through the process with templates. Whichever website builder you’ve chosen, you’ll have an extensive selection of design templates to choose from. Generally speaking, the better your plan, the more templates you’ll have access to. The top builders provide hundreds of templates across dozens of categories. Whatever the focus of your site is, there will be a template for it. Building a website is like cooking a dinner. Just like cooking, knowing how to build a website from scratch is much easier with the right tools and instructions. A template gives you a recipe — you can choose to follow it or you can mix up the ingredients and style to give your dish your own flavor. The best website builders walk you through all these things, so don’t be intimidated. They understand their purpose is to make web design easy. As is so often the case with website builders, don’t be afraid to play. You’ll be surprised by how how much you can do. You can almost always play around with templates as part of the free trials, so you can get a sense of how easy customization is without spending a cent. With your template chosen and customized, you’re probably itching to publish and get your website live. Slow down there. Knowing how to make a website is one thing. Publishing your website blindly is another. Is all the spelling and grammar correct? Are all the buttons on the menu working? Does your site fulfill a purpose? Does it function on desktop and mobile phone screens? You’ll have done so well to get this far. Be vigilant. It would be a massive shame to build your own website, only to publish an unfinished site. How do you preview your website? Website builders make previewing your site really easy. Usually you just have to hit the preview button in the editor mode to see what your website would look like. Most offer a toggle so you can see how it works on different screen sizes. An easy-to-use preview mode saves you a lot of time as you won’t need to keep saving changes and switching back and forth between editor and preview mode. You can make a change and then just hit preview to see how it would look live. All done? Splendid. Press ‘Publish’! Tell your friends, shout about it in crowded streets, hire a blimp — get the word out. Your site is now live for the world to see. You can still customize and develop it of course, but you’ve taken the plunge. How very exciting. If you’re still a bit unsure whether you can do it, especially if you feel that you’re not the creative type, we have a comprehensive What You Need To Build A Website guide that covers all of the checklist items above, plus Google Analytics, logo design and images, in detail. Anyone can make a website, and (literally) costs nothing to find out. Take a couple of builders for a spin and see what happens. You just may wind up creating something wonderful. How do you create a website for free? Building a free website is fairly common these days. Most website builders offer a free plan, or a trial plan. You can build your own website without spending a cent, but it won’t have the bells and whistles of a paid plan. Overall, Wix offers the best and most comprehensive free plan of all the website builders. Can I move from one website builder to another? You can, but there’s usually a lot of hassle involved. Most, if not all, of the content will have to be moved over manually. Website builders are a bit clingy. This is why it’s so important to test a few contenders before signing up to one. Will my site appear in search engines? Almost a third of all websites are built on WordPress. It’s a subtle, essential part of the internet. But it also requires more setup work and maintenance than most website builders do. The first step of building a website using WordPress is taking stock and knowing what you’re signing up for. The first major logistic of setting up a WordPress site is web hosting. We have a full guide on what web hosting is, but in brief it’s a home for your website. The files that make up your website need a virtual location to live in. 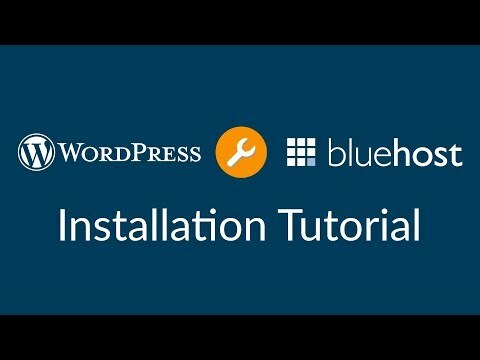 We’re going to go through this step-by-step guide using web hosting company Bluehost as an example because they’re one of the services explicitly recommended by WordPress. Do keep in mind though that lots of other web hosting providers are available. Check out our comparison of the best hosting providers to get a sense of what other services are out there. If you’re not fazed by any of this language, read on. If this all sounds a bit too technical for you, check out how to make your own site using a website builder instead. Before you can get down to the business of building your WordPress website you need a place for it to live. This requires a hosting plan. Signing up for a hosting plan is easy. Signing up for the right hosting plan is where things get a bit trickier. Some of the main types of hosting are as follows. Shared. Where you share a server with multiple other websites. This helps to keep costs down, but limits how much traffic your site can handle. These plans are best for small and starter websites with modest traffic. Virtual Private Server (VPS). These mimic the control of a dedicated server, but still share space with other websites. A good half-measure if you’ve outgrown a shared plan but don’t want to commit to the cost of dedicated hosting. Dedicated. A server all to yourself. These plans can take a lot more traffic and offer full admin control. On the flipside, as you can see, they also cost a lot more. Dedicated hosting is for the very top tier of sites. If you’re just starting a website it’s highly unlikely you’ll need to look past shared hosting. If, further down the line, a shared plan proves inadequate you can simply upgrade. For your first WordPress site a basic shared plan will see you right. If you’d rather get one separately, simply go to a domain registry site like GoDaddy or Namecheap, find a name you like and is available, and buy it. It’s that simple. Once you’ve acquired the domain the registrar will give you an account. It’s through this that you can attach a domain to a site. More on this later. There’s not a set fee for domain names. Their value tends to be set by the market. Facebook bought fb.com in 2010 for $8.5 million, while the 2005 purchase of lasvegas.com amounted to a cool $90 million. Don’t panic. You probably won’t have to pay millions for your domain. Regular, non-famous domains cost in the region of $12 a year. Far more manageable. There’s no secret formula for choosing a great domain name, but there are some rules of thumb worth sticking to when starting a website. Relevance is key.Make sure your domain matches your site. If your business is called ‘Green Paper’, don’t register pinkclouds.com. Short and sweet. You want people to remember your URL, so the shorter the better! Don’t use numbers. It’s a little awkward to have numbers in a domain name, as people don’t know whether to type ‘3’ or ‘three’, for example. Be unique! Make sure the domain isn’t already taken. Sounds obvious, but saves time in the long run. Once you register a domain, it’s all yours. You only lose it if you choose not to renew, at which point it will be put back on the market. Once you sign up to a hosting plan with Bluehost, an account will be made for you automatically, though setting up a WordPress requires something from you: a click. WordPress’s massive popularity means it’s in the interest of hosting providers to make setup easy. Accordingly, most offer one-click WordPress installation. In the case of Bluehost, that means going to ‘My Sites’ on the dashboard. As you can see below, it’s very easy to find. While website builders have templates, WordPress has themes. Your theme affects how your site looks. There are free themes and paid themes, and you can change your website’s theme as often as you want. The upside with free themes is the cost, obviously, though bear in mind a nice free theme is likely being used on a lot of sites already. Paid themes are more ‘exclusive’ in that sense. Some only require a one-off payment, while others offer a subscription in exchange for support, updates, and maintenance. Once you select your WordPress site you will find yourself in the WordPress dashboard. Get used to it, it will be your online control room from now on. It’s here that you can manage themes. A handful of default themes are waiting for you when you arrive, and adding new ones only takes a few minutes. Once you find a theme you like, download it. Go to the ‘Themes’ section of your WordPress site, select ‘Add New’, and upload the theme you’ve just saved. Voila. You now have a new theme. Rinse and repeat until you find one that feels just right. Adding content to WordPress is much more structured than you might think. Content on WordPress sites essentially breaks down into two types: pages and posts. What they look like will depend on the theme you use. Pages are static one-off pages that make up the backbone of your site. Your homepage and contact page would be pages, for example. Posts are more timely. If your site has a blog, each entry in that blog would be a post. Creating pages and posts is easy. Both require a couple of clicks in the WordPress dashboard. For pages you go to ‘Pages’ and ‘Add New’. For posts you go to ‘Posts’ and ‘Add New’. Both ‘Add New’ options will take you to the editor, where you can add content, preview, and publish. To add pages to your main menu you simply go to ‘Appearance’ and ‘Menus’. From there you can select which pages appear in which menus. 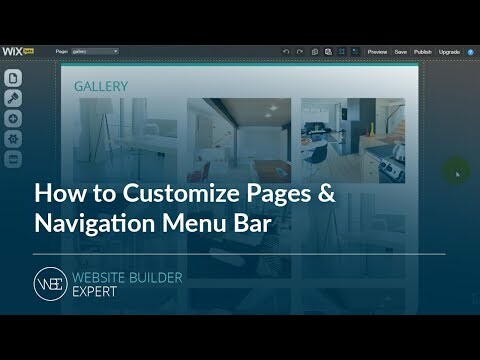 For most sites and most themes you’ll only need one navigation menu, so putting one together is easy. Plugins are bits of software that can be added to WordPress to improve the functionality of your site. Default features offer enough to make a perfectly good website, but plugins are often necessary to take it to the next level. WordPress has tens of thousands of plugins for everything from search engine optimisation (SEO) to image compression. Browse the WordPress plugin directory and you’ll soon get a sense of how vibrant and creative a community it is. Each plugin has its own page with descriptions, screenshots, user reviews and more. To install plugins it’s easier to browse within your WordPress dashboard. To do this go to ‘Plugins’ and ‘Add New’. There you can sort through featured, popular, and recommended plugins, as well as search for them yourself. To install simply press ‘Install Now’. You manage your plugins in the ‘Installed Plugins’ section of the ‘Plugins’ tab. There you can edit plugin settings and toggle installed plugins on or off. As ever, don’t be afraid to test things out. You have a whole lot more to gain from plugins than lose. Worst case scenario you simply deactivate a plugin you no longer want to use. All right, we’re almost there. Before publishing your WordPress site let’s recap the steps you should have gone through to reach this point. All done? You’re ready to go. Don’t think the work is over though. A good website is never finished. You’ll see. The internet is constantly evolving, and your site will too. The life of a WordPress site is a steady circle of stages six and seven, with a bit of theme customization thrown in for good measure. Making and maintaining a WordPress site is a deeply rewarding experience. You will learn about design, content, search engines, coding and more, and the structured framework WordPress gives you will always keep things manageable. If you’re still not sure whether WordPress is right for you, check out our full WordPress review, or if you’re ready to get started, hit the button below! © 2018 vetthedeal.com. All rights reserved.